26 Oct How do I Know Which Pawnbroker to Choose? 1. Do they have an office where you can go to value your car? This is important as most established pawnbrokers have an office where their business is conducted in a secure and professional manner. A well sign posted and easy to find office means that they welcome your business and are willing to help. 2. Do they have safe storage facilities where you know your car will be secure? Highly important that once you pawn your car it will still be safe and secure. Make sure that you see the storage facility before you pawn your car as the last thing you want is for your car to disappear while you’re paying off your loan. 3. Can you contact them at any time if you have questions? Is there a phone number, email, helpline to contact when you to ask questions. Pawnbrokers should be happy to take your calls and help you out with securing your loan as well as paying your loan and getting your car back. 4. What is their interest rate? Make sure you double check the interest rate before your pawn your car. Is the advertised interest rate per day or per month? What are the terms and conditions surrounding this interest rate? Perhaps even find alternative quotes before you settle on which pawnbroker to use. 5. Are their consultants friendly and helpful? A good pawnbroker will have helpful and friendly consultants ready to answer your questions and conclude all the admin and paperwork efficiently around your loan. 6. Are they willing to make a plan for your circumstances? A reputable pawnbroker should always be willing to negotiate (within reason) and structure a deal that works for both you and them. 7. Are they able to offer a solution for partly financed cars? Some pawn brokers don’t allow you to pawn your car if you still owe money on it and it is still owned by the bank. It’s therefore a good idea to shop around for a pawnbroker before you pawn your car that is able to give you a loan on the paid off portion of your car. 8. Do they offer a pawn and drive service? Not every pawnbroker will offer a pawn your car and drive option. 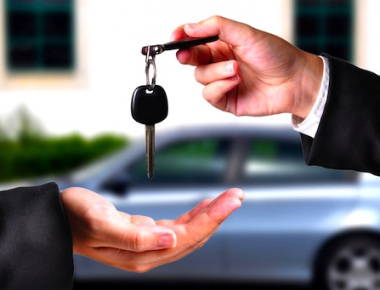 Some will be able to offer car rental whilst you’re paying off your loan and others will be able to offer you the use of their car for free. Before you pawn your car find out whether this option is available if you will need a car whilst you’re paying back the loan. Read more about the steps to take to pawn your car here. In order to pawn your car, you need to find the right PawnBroker that understands your needs and is willing and able to help you get your car back.